Tobey Maguire will re-team with his Ice Storm and Ride With the Devil director Ang Lee for Life of Pi. The film is an adaptation of Yann Martel’s bestselling novel of the same name about a boy at sea in a lifeboat with a tiger, a zebra, a hyena, and an orangutan. According to Variety Maguire will play the writer who interviews the boy, played by newcomer Suraj Sharma. 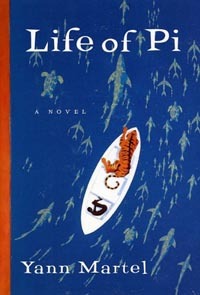 Life of Pi will be an FX heavy 3D picture, and it’s scheduled to splash onto screens Dec. 14, 2012. This entry was posted in Movie News and tagged ang lee, casting, film, life of pi, suraj sharma, tobey maguire, yann martel. Bookmark the permalink. Interesting. I read that book. Good book. Wish I had stopped about 20 pages from the end though.